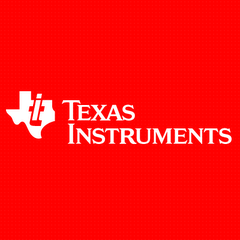 Bangalore, 14 May 2015 — Texas Instruments (TI) (NASDAQ: TXN) announced the ADS54J60, the industry’s first 16-bit 1-GSPS analog-to-digital converter (ADC) and the first to achieve over 70dBFS signal-to-noise ratio (SNR) at 1-GSPS. TI also announced the highest density four-channel 14-bit 500-MSPS ADC, the ADS54J54. To optimize the signal chain, TI’s new 4.5-GHz LMH6401 fully differential digital variable gain amplifier (DVGA) offers the widest bandwidth with DC coupling and allows signal acquisition of low and high frequencies without the limitation of baluns used in AC-coupled systems. These ADCs work together with the amplifier to provide the highest performance, lowest power and space savings in defense and aerospace, test and measurement, and communication infrastructure applications. TI will demonstrate these high-performance devices at the International Microwave Symposium (IMS) on May 17-22 in Phoenix, Arizona, at booth #2614. Highest speed in their classes: The 16-bit 1-GSPS ADS54J60 ADC and the 14-bit 500-MSPS ADS54J54 allow higher frequencies with more accurate signal analysis. Highest dynamic performance: ADS54J60 offers more than 3 dB better SNR (70 dBFS at FIN=170 MHz) compared to competitive ADCs, a low noise floor of -159 dBFS/Hz, and spurious-free dynamic range (SFDR) of 86 dBc. These enable high spectral purity and the ability to find weak signals in the presence of large, unwanted blockers. High density: ADS54J54 is 50 percent smaller than competitive ADCs, offering four channels in a 9-mm-by-9-mm package. ADS54J60 offers two channels in a 10-mm-by-10-mm package. Reduces the data interface speed and external processor resources: Integrated digital down converter (DDC) offers programmable decimation or a bypass mode. Simplified board routing and device synchronization: Both ADCs offer the high-speedJESD204B serial data interface, which simplifies connections to processors, including the 66AK2L06system-on-chip, and FPGAs. Low power:Both new ADCs offer 20 percent lower power consumption than competitive ADCs. Industry-leading bandwidth with support for DC coupling:4.5 GHz with programmable gain of -6 dB to 26 dB and DC coupling enables signal acquisition of low and high frequencies. This allows for the full verification and analysis of signals in test and measurement applications. High linearity: OIP3 of 43 dBm at 200 MHz and -63/-63 dBc second- and third-order harmonic distortion at 1 GHz (2Vpp). Large gain range:32 dB of gain range and 1 dB step control optimize dynamic range of the signal chain. Lowest power consumption in the industry:Uses 355 mW at 5V—more than 40 percent less power than the competition. High density: 3-mm-by-3-mm package is more than 40 percent smaller than competitive amplifiers. A complete support suite is available for system designers, including samples, product evaluation modules (EVMs) (ADS54J60EVM, ADS54J54EVM, LMH6401EVM) and a data converter capture card and pattern generator (TSW14J56EVM). IBIS models are available for the ADCs and the amplifier, and a TINA-TI model is available for the amplifier. Support is available on the High Speed Data Converters Forum and the High Speed Amplifiers Forum in the TI E2ETM Community, where engineers can search for solutions, get help, share knowledge and solve problems with fellow engineers and TI experts. All ICs are sampling today. The ADS54J54 is available for USD $500 in 1,000-unit quantities (1ku), the ADS54J60 will be available in 4Q15 for $705 in 1ku and the LMH6401 will be available in June 2015 for $10.95 in 1ku. What is Big Data, And How Can It Help Save The Environment?